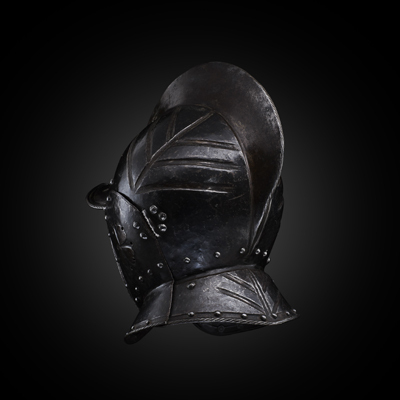 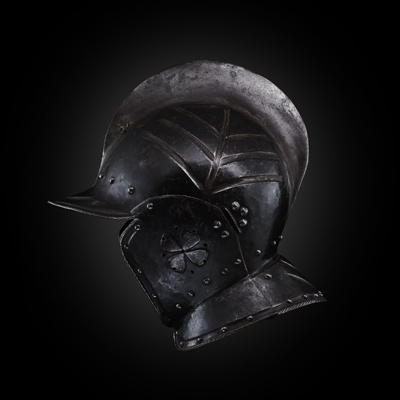 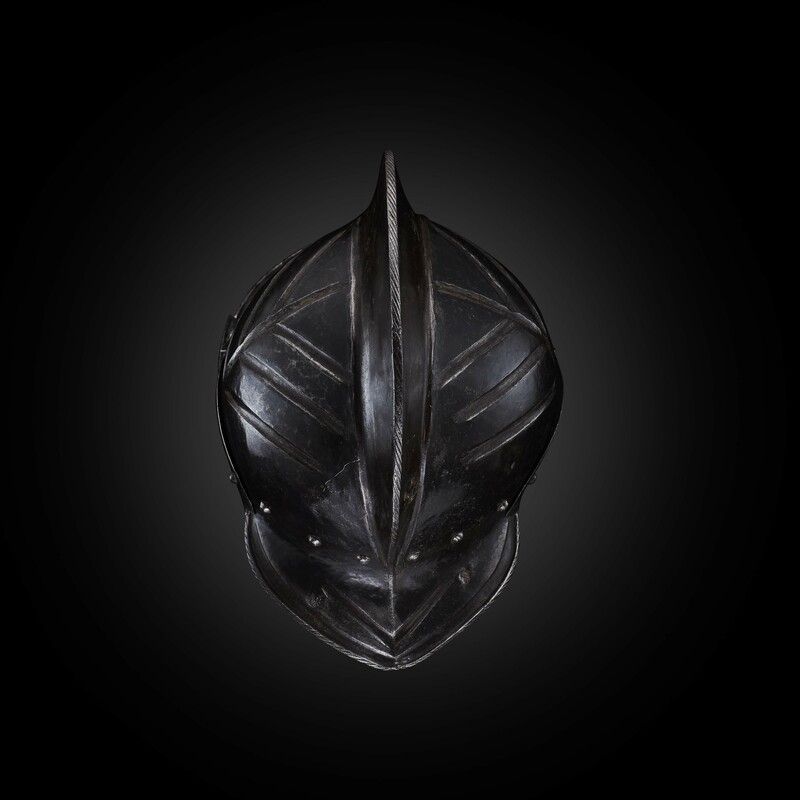 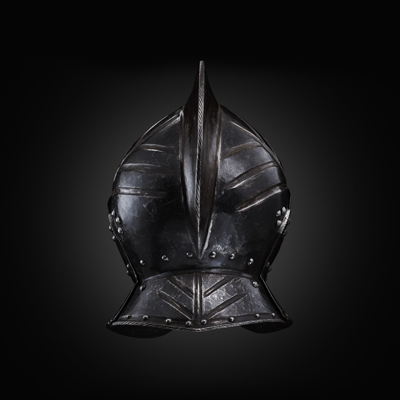 The elegant shape combined with the helmet’s decoration strongly suggests that the burgonet was made for a high ranking officer to be used in the field. 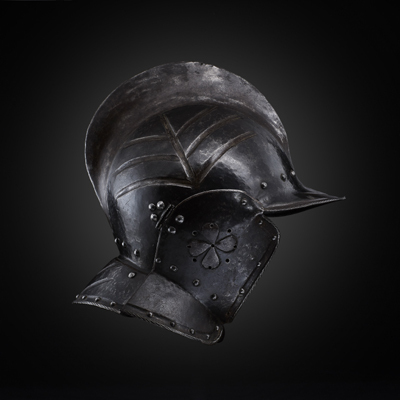 Both ornament, shape and the Nuremberg mark argue for a dating of circa 1570. 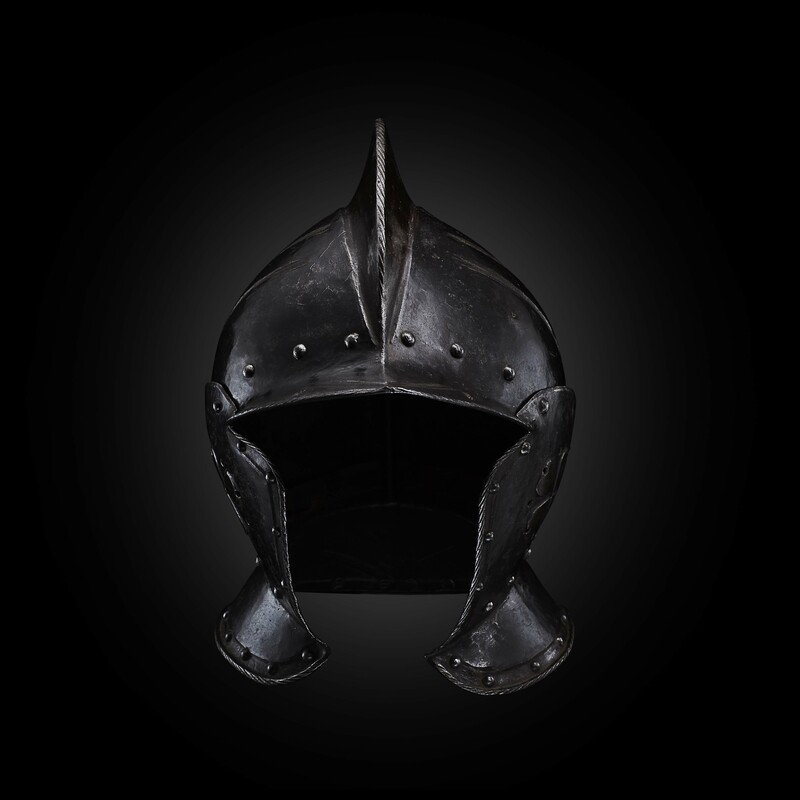 With its armourer’s stamp and against the background of the good state of preservation the helmet is an interesting piece for the scholarship about the history of the armourer’s craft in Nuremberg.